The gadgets in question include the Galaxy Fit, the Galaxy Watch Active, and the wireless Galaxy Buds. To kick things off, we'll discuss the Galaxy Fit; which is essentially the latest iteration of Samsung's Gear Fit line of fitness bands (but with different branding). The Fit has 5ATM water resistance, dust resistance, and an ultra-slim form factor. It can operate for up to a week on a single charge, all while tracking your steps, heart rate, and your sleep patterns through its touchscreen, 120x240px AMOLED display. The Fit (and the Watch Active) will also offer "stress management" features, which can guide you through various breathing exercises to help you remain calm in tense situations. Moving on to the more robust Galaxy Watch Active, we find a device that can do everything the Fit does and more. For example, in addition to the Fit's 5ATM water resistance, the Active also boasts IP68 protection. Furthermore, given that the Active is a full smartwatch and not just a fitness band, you can expect to access all of the same apps you could with any other WearOS device, including the likes of Spotify and Strava. With the Active, Samsung is also throwing powerful blood pressure monitoring features into the mix; likely in response to Apple's similar move with its latest Watch (Update 2/26/2019: Apple's latest Watch includes electrocardiogram functionality, not a blood pressure monitor). However, doing so will require the download of research app My BP Lab, which launches on March 15. According to Samsung, the Active can operate for a full 45 hours on a single charge. If you happen to snag one of Samsung's newest smartphones, you can drop your watch onto the back of the phone to give it a quick power boost. Both the Fit and the Watch Active alike feature customizable watch faces, and automatic (or manual) exercise tracking. The final piece of wearable tech revealed by Samsung today was the Galaxy Buds. Once again taking inspiration from Apple, the Buds are Samsung's first truly-wireless earbuds, with an even smaller form factor than the AirPods. They pack "premium" audio technology from AKG, IPX2 splash resistance, as well as a number of unique "smart" features. To name a couple, taking the earbuds out will automatically pause music playback, and you can use built-in virtual assistant Bixby to send texts, make calls, or perform other basic actions without picking up your phone. It's also possible to control audio playback manually by swiping or tapping on the Buds' exterior. If you live a particularly busy life, the Buds' "Ambient Aware" feature might grab your attention. In short, the function lets you adjust the level of external noise dampening the Buds offer, so you can keep track of important sounds (such as traffic or airport announcements) while still listening to your music or a phone call. Naturally, the inverse is also possible. If you're in a cramped household or dense shopping mall and you want to ignore the outside world, you can crank the noise cancellation up to do so. The Buds house the same power-sharing hardware that the Watch Active does, letting you place the buds (when inside their case) on the back of your S10 or S10+ for a quick recharge. In terms of unassisted battery life, you can expect to use the Buds for around 13 hours on a single charge. Samsung Galaxy Watch Active: Ships on March 8 for $199, with pre-orders opening up on February 21. 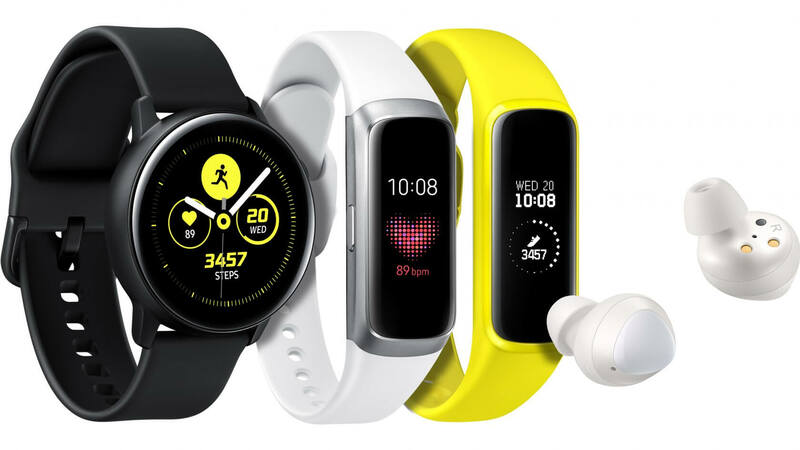 Samsung Galaxy Fit: Ships in Q2 2019 for $99, though no specific release date or pre-order information has been revealed yet. 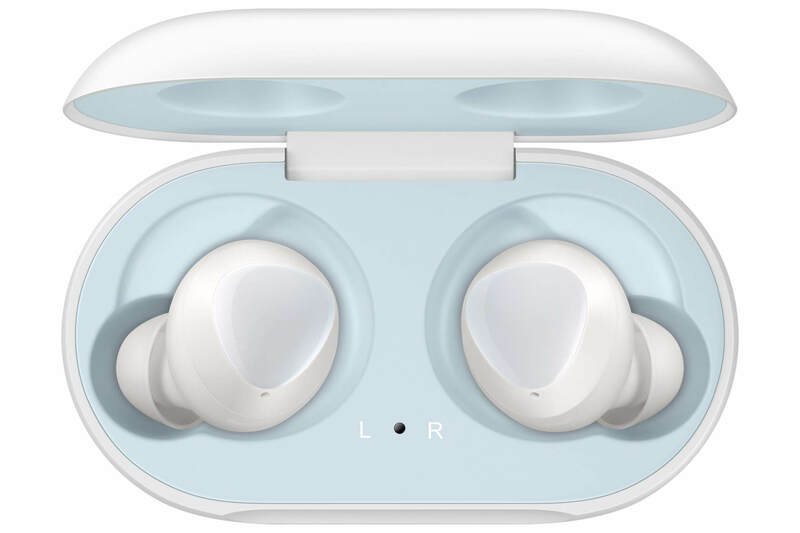 Samsung Galaxy Buds: Ships on March 8 for $129, though they're free if you pre-order a Galaxy S10 or S10+ smartphone. "the Buds are Samsung's first truly-wireless earbuds"... what the hell were the Samsung Icon Gear X then? Just waiting for one of them to come along that will accurately measure A1C, not cost a fortune and not require pricking your finger. The devices are already here but have been engineered to require constant refills that are costly. The industry is already making a bundle off diabetic's, isn't it about time they gave back a little bit?